This is a project that's been a long time in the making. 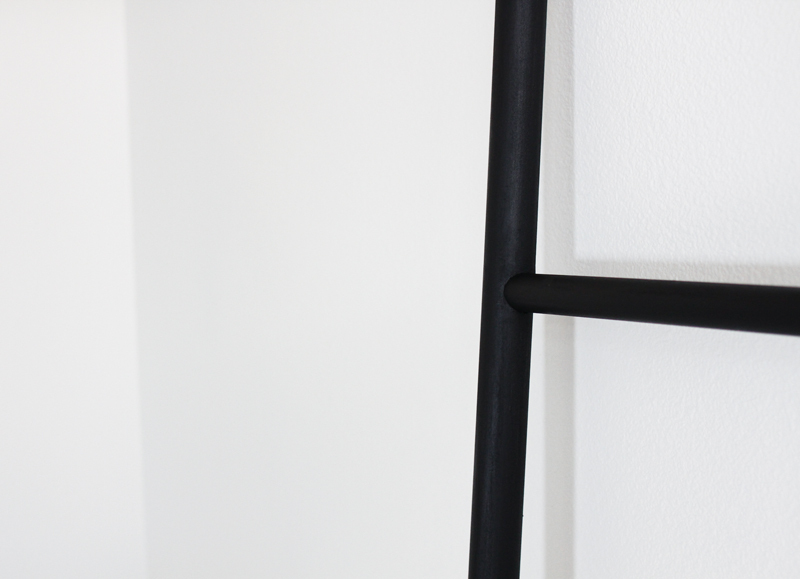 I've thought on and off about making this decorative ladder for a while and decided now is the time to give it a try. 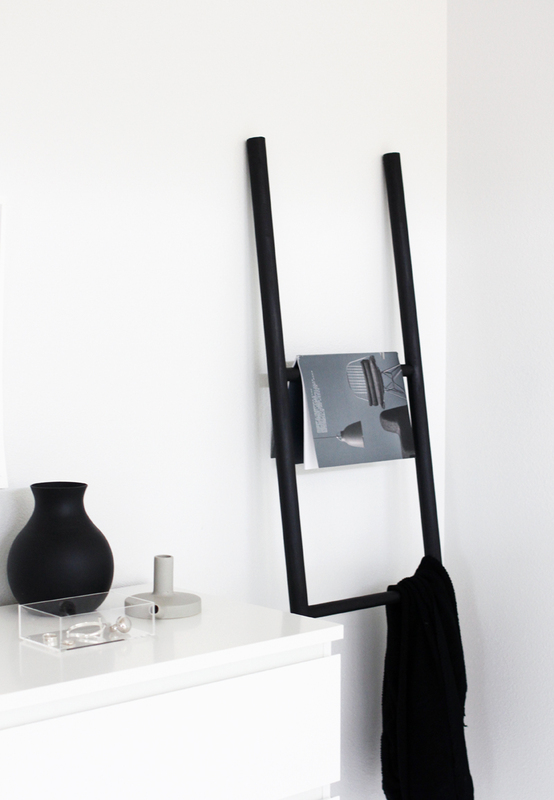 It's a great way display magazines or hang towels, jackets or scarves. I should say that I'm no expert-there might be a better way of doing this but here's what I did and what worked for me. I measured the two long dowels into 4 equal parts, which were for me about 17.75" apart. Mark 3 places to drill the holes, making sure to keep them straight along the dowel. 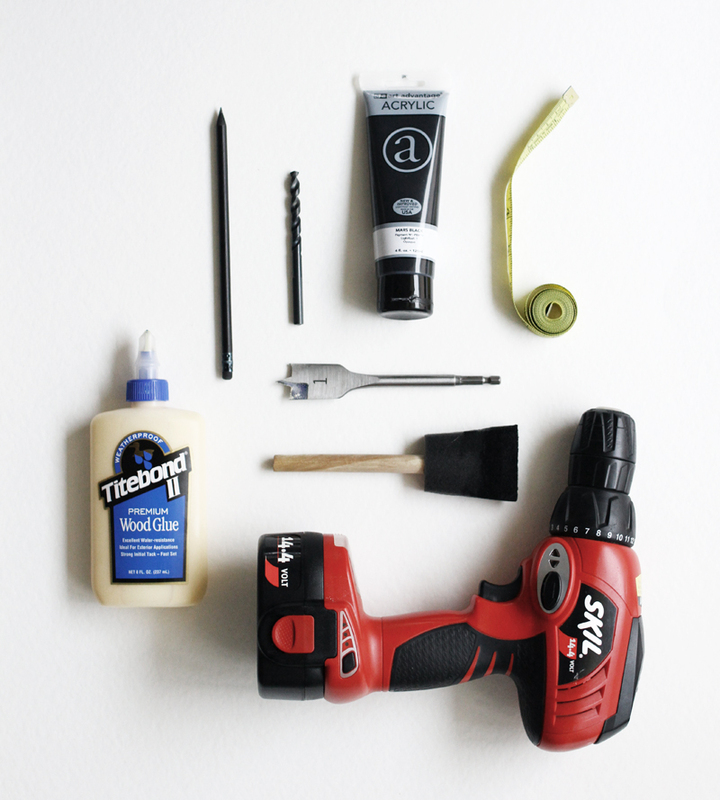 Drill starter holes with your smaller drill bit and then using the wide bit, drill about 1/4-1/2" into the dowels for the smaller pieces to rest in. Do that with both large wooden dowels. 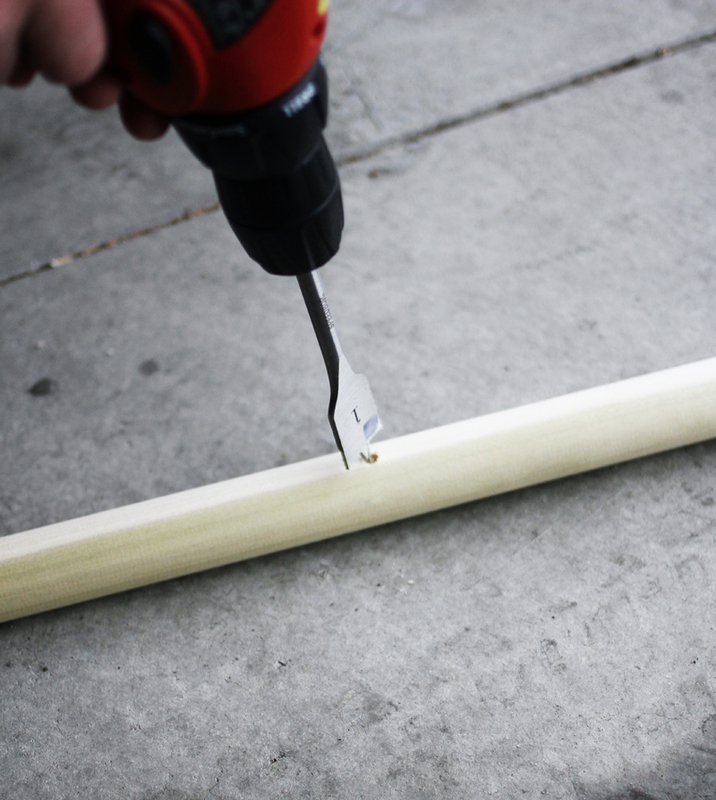 Cut your 1" thick dowel into 3 x 14" pieces and using the wood glue, glue to the holes you've made in the larger dowels. Once everything is dry you can paint and be done! You're quite the handy lady! I love it! Has Israel tried to climb it yet? Very inspiring. 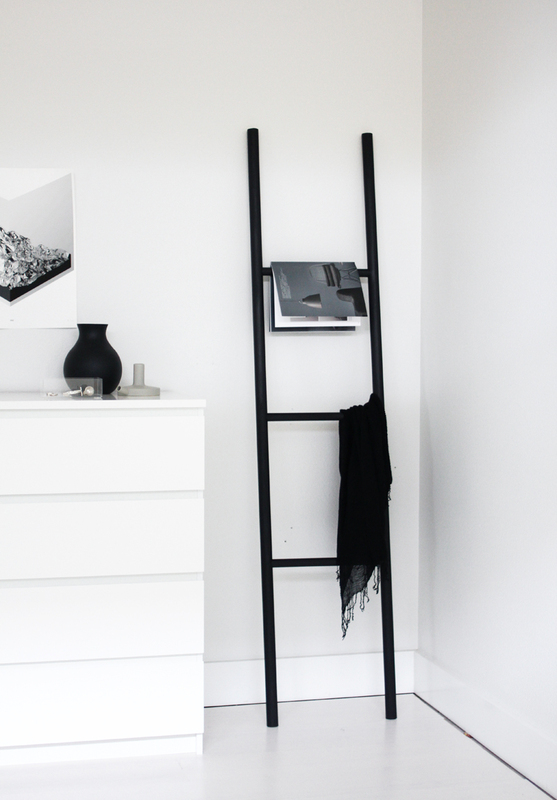 I need one for home and this is diy arrives perfectly on time: thanks! Deine Leiter ist wirklich suuuper geworden! Ich werde diese sofort meinem Mann zeigen, der soll mir auch so eine schöne Leiter bauen. Oder vielleicht mach ich es sogar selbst? mal schauen. 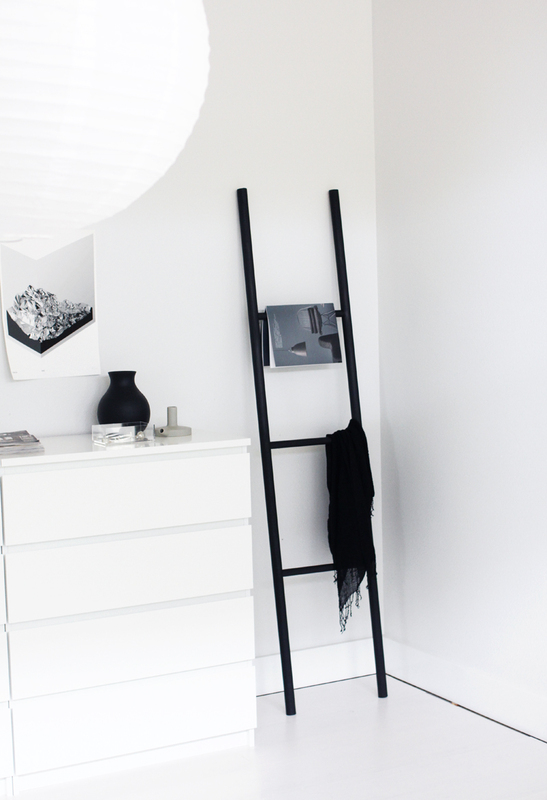 love the ladders, I'm going through a bit of a ladder phase really, just posted one from Ikea, but they are so simple to make too. Great idea! And I love that it's really basic and simple in shape. Really nice project! I think I have just the right spot for one in my bedroom! I would hang my scarves on it. Thanks for the inspiration! I'm really loving this. Jordan (my fiance) and I are doing a very neutral monochromatic color scheme in our new place. I think this project would fit in nicely! 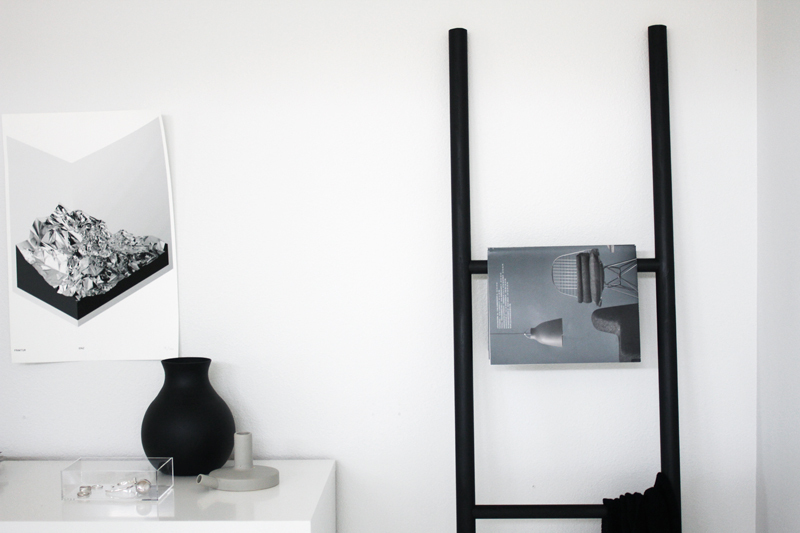 That's easy and nice little project :) Looking good in your white home. Awesome diy project, you rock Jennifer! Great DIY idea! Very stylish! Thank you, thank you, thank you! 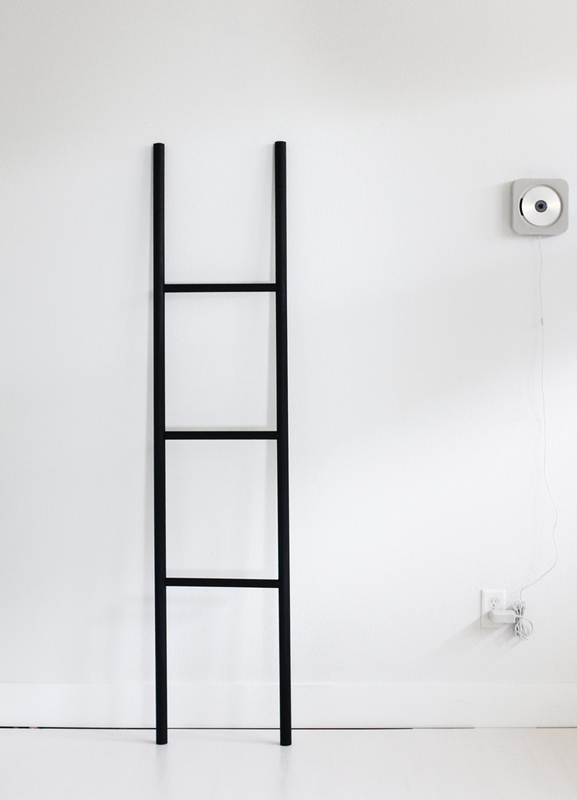 I've been wanting a ladder like this for a long time now and this one looks great! Very nice, simple & useful idea. nice to see my candle near your ladder, thanks!